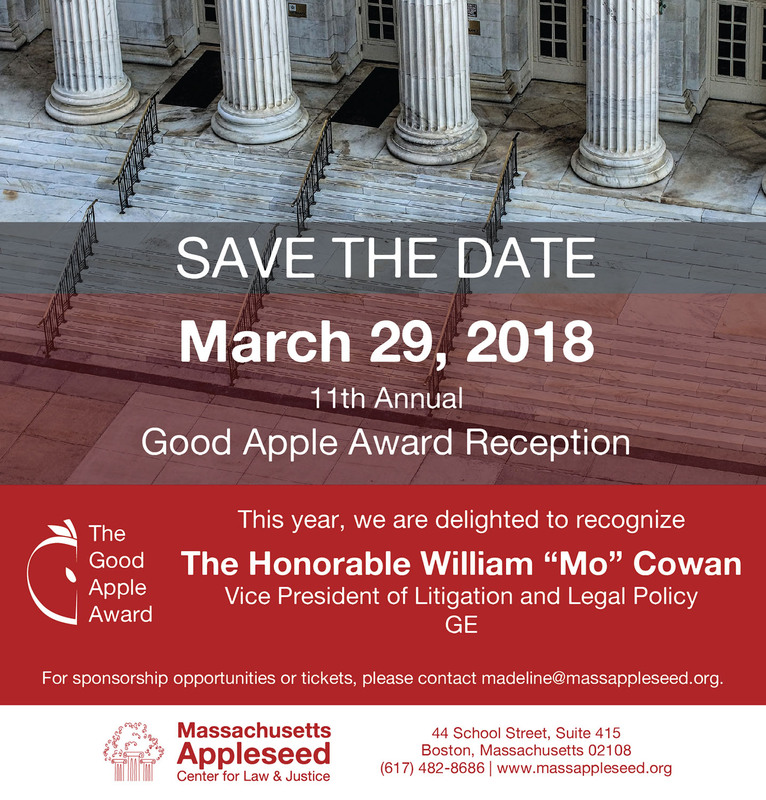 On Thursday, March 29th 2018 Massachusetts Appleseed will host its 11th annual Good Apple reception at the Boston Harbor Hotel. 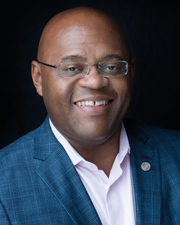 We are pleased to announce that this year’s recipient of the Good Apple Award will be Senator William “Mo” Cowan, Vice President of Litigation and Legal Policy of General Electric Company. 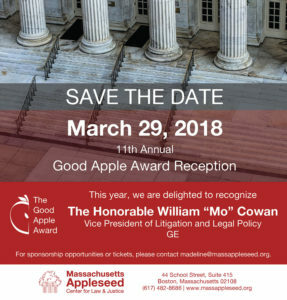 The Good Apple Award is presented annually to one member of our Massachusetts legal community who exemplifies MA Appleseed’s commitment to public service, fairness, and social justice. Throughout his career, Mo has demonstrated his dedication to serving the public. He is a civic leader, a mentor to many, and an inspiration to all, acting with optimism and an inclusive vision at a time when inclusivity is under threat. Senator William “Mo” Cowan is Vice President, Litigation and Legal Policy at the General Electric Company, responsible for litigation, enforcement proceedings, investigations and compliance globally. Mo joined GE after serving Of Counsel to Mintz Levin Cohn Ferris Glovsky and Popeo, PC (“Mintz Levin”) and as President and Chief Executive Officer of ML Strategies. In 2013, Mo represented the Commonwealth of Massachusetts as interim United States Senator, filling the vacancy created when John F. Kerry was appointed United States Secretary of State, and served as Chief Legal Counsel, Chief of Staff, and Senior Advisor to the Governor in the administration of former Governor Deval L. Patrick. Mo also served as a Fellow at the Harvard University Institute of Politics (Fall 2013). Mo is a graduate of Northeastern University School of Law and Duke University. Active in numerous civic, educational and charitable pursuits, Mo is a Director of Eastern Bank Corporation, Partners Healthcare, and Co-Chair of the Greater Boston YMCA Board of Overseers. He serves as a Trustee of Northeastern University and the Massachusetts General Hospital, and is a member of the Boston Club Corporate Advisory Board, Cambridge College President’s Council, Duke University Trinity Board of Visitors, and U.S. Association of Former Members of Congress. Mo is a “Good Apple” in the truest sense. For sponsorship opportunities or tickets, please contact Madeline Poage at madeline@massappleseed.org. 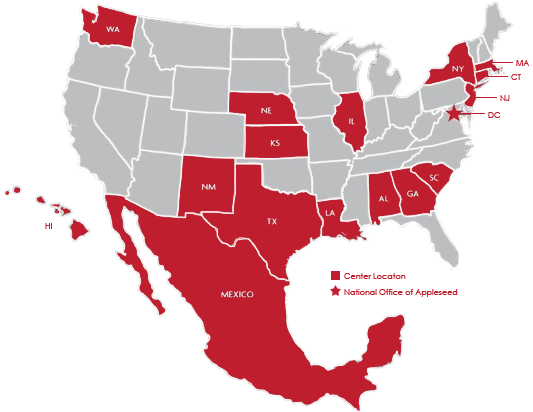 Giving Tuesday Will You Stand With Us To Keep Kids In Class and Out of Handcuffs?